This book presents up-to-date information on a total of 75 native and non-native medicinal plants gr.. Aimed to meet requirements of undergraduate students of botany. This book covers topics such as: evo.. In the five years since the publication of Molecular Systematics of Plants, the field of molecular s.. This textbook focuses on botany with particular emphasis on plant anatomy, physiology and biology. 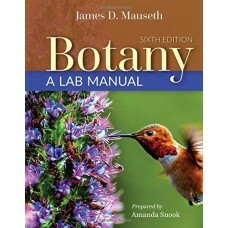 I..
Botany: A Lab Manual, Sixth Edition is the perfect companion to any botany course. Packed with hands.. 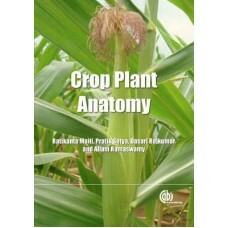 Divided into four sections covering anatomy in relation to crop management, anatomical descriptions .. The category of Environment deals with various subjects like trees, forest, atmosphere and global wa.. The organization of topics, the depth and breadth of coverage and the incorporation of applied mater..
A comprehensive course in Genereal Botany requires that student confirm the workability of fundament.. The burgeoning demand on the world food supply, coupled with concern over the use of chemical fertil.. The Handbook of Statistics for Teaching and Research in Plant and Crop Science presents the fundamen.. This revised and extended second edition of "Identification of tropical woody plants" is a concise r.. Herbs are staging a comeback and herbal 'renaissance' is happening all over the globe. The herbal pr.. 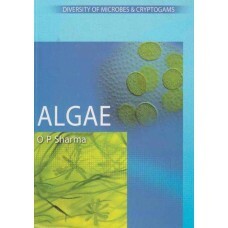 This new edition of the universally acclaimed and widely-used textbook on fungal biology has been co..